Gender Select - We offer a laboratory procedure that can increase the odds of producing a male or female child at an affordable cost. Office Closed Dates: March 28-April 3. We will be OPEN and available for services again on April 4, 2019 by appointment only for normal business hours. If your ovulation is to occur within the office close date you will need to postpone service until the following month. We apologize for any inconvenience and appreciate your understanding. You may reach Jessica by text for any inquiries at 502-417-5017. Thank you! For initial inquiries and existing client questions, Please contact Jessica regarding any questions. You may reach Jessica by texting (texting only, no calls unless they are scheduled)questions/inquiries to 502-417-5017. Due to a Firewall Issue, Hotmail email responses will not be deliverable. Please provide an alternate email other than the Hotmail account. We offer a SAFE, EFFECTIVE and AFFORDABLE laboratory procedure that will help you to increase the chances of having a baby boy or a baby girl. You will love our personalized one-on-one service, so contact us to learn more! Have you ever wondered if there was a way to influence the gender of your next child? Gender Select, LLC. allows families to do just that. 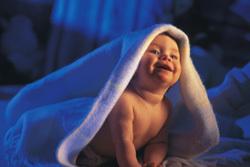 We offer a laboratory procedure that can increase the odds of producing a male or female child at an affordable cost. Our website contains information on our process, other gender selection methods, costs, forms to get started, and contact information to submit any questions you may have about our services. There is a rapidly increasing demand for gender selection services in the U.S. People are more informed about technology and what can be achieved through science. Since gender selection is possible, there is a demand for the service. There are many reasons for deciding to use a gender selection service. Some of these reasons include: Family Balancing or the process of bringing the number of children of each gender in one family closer to equal; Genetic Diseases/Abnormalities avoidance can be achieved by utilizing gender selection processes; and personal preferences. Gender Selection services are effective, but not guaranteed to be 100%. This service should be viewed as an option to help you increase the odds of having a baby of a certain gender. While this can be achieved in many cases, it cannot be achieved in every case. You should chose this option with realistic expectations. Your desire for a healthy new baby of any gender should outweigh your desire for only a baby of a certain gender. We will insure that every measure is taken to maximize your chance of having a baby of the gender you desire. And while it is our goal to accomplish this for each case, it is just not statistically practical or achievable. Many websites will offer services and products with a very high, unrealistic success rates and guarantees, these claims are simply not true. The web is not monitored for truthful statements, and companies can make any “sales pitch” whether factually based or geared to getting your business no matter what the cost to you. We feel that complete honesty will lead to the best outcome for everyone, and we will not attempt to “sell” you on something not based on the truth. Utilizing these types of services is a personal decision. We wish you the best in your journey to conceive a son or daughter. Here is a quick overview on how our services differ from other gender selection services that require you undergo IVF in addition to gender selection. For more information on methods of gender selections, please go to our “Methods” page. Chart"
As a way to give to children & families in need, a portion of our monthly proceeds goes to St. Jude Children's Research Hospital. For more information please visit the St. Jude Children's Research Hospital website. Gender Select LLC and its affiliates have no relationship with St. Jude Children's Research Hospital. This is one way we choose to help our community.